This is my go to watch, and I get a lot of compliments on. Nice size, looks true to pic. 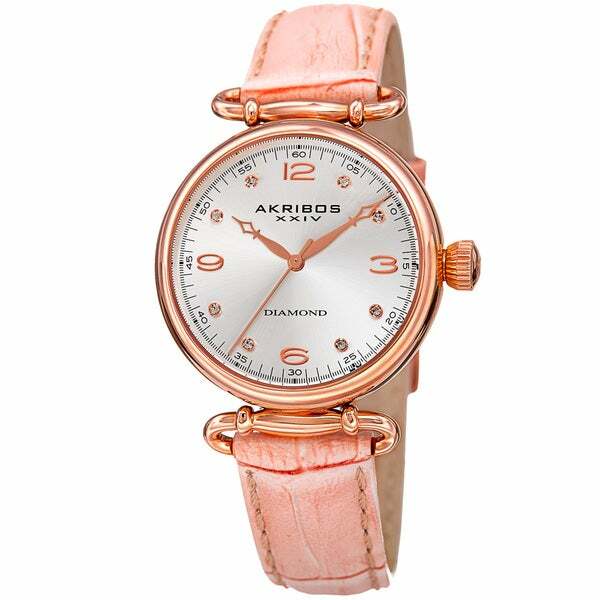 This exceptional Akribos XXIV watch features dazzling diamond markers and unique cathedral style hands. Powered by Japanese movement, the vintage wire style lugs and alligator patterned leather strap give this timepiece a boost of character and style.